Two moving stories of love, loss, desire and divorce, from one of the great chroniclers of nineteenth-century New York life. I much preferred the first story, Mrs. Manstey’s View to the second, the collections namesake. Mrs Manstey is a lonely widow, who takes her only pleasure from the view of New York from her window. Wharton describes this view in it’s truly beautiful, albeit small, form, and familiarises us with Mrs Manstey’s pure love of it. When the view is threatened to be taken away from her, we see our poor widow take drastic action in her desperation and loss. It’s a very clever commentary on how the smallest thing in someone’s life can really be the most important. The Reckoning itself is a quite amusing tale of how one’s own rules and ethics can become enemies with your needs and desires. The moral quandary the protagonist finds herself in is as delicious as it is heartbreaking, and truly underlines the contrariness of the human psyche. 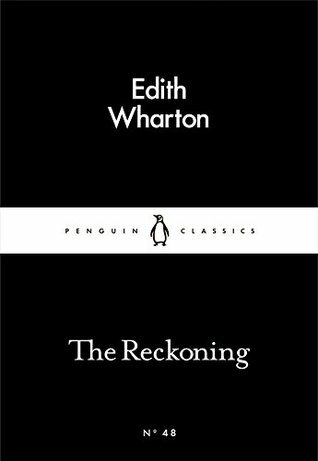 Both stories well ahead of their time, they’re an excellent introduction in Wharton’s work. Another glorious addition to the Little Black Classics range.